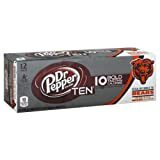 Dr Pepper Ten is a diet soda marketed to men. It is formulated to have a bolder taste than the original Dr Pepper and it is also higher in caffeine. Regular Dr Pepper = 41mg/12 floz. Dr Pepper 10 = 51mg/12 floz. 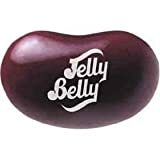 It is called 10 because it has 10 calories per serving by adding some high fructose corn syrup, which is suppossed to improve the flavor profile. 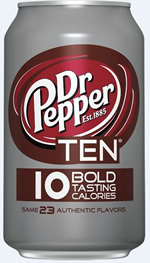 The success of Dr Pepper 10 also spawned "10" versions of the company's other soft drinks. Sugar content: 3 grams (per 12 ounces). How Does Dr Pepper 10 Compare? Dr Pepper 10 contains 4.25 mgs of caffeine per fluid ounce (14.37mg/100 ml).